If you want a colorful garden that does not involve the constant chore of replanting every year, then perennial plants are the ones to grow. Plant them once and then they will reappear each spring and produce colorful blooms for many years to come. Check out this list of the top favorite perennials and then decide which you will chose to create your own riot of color. 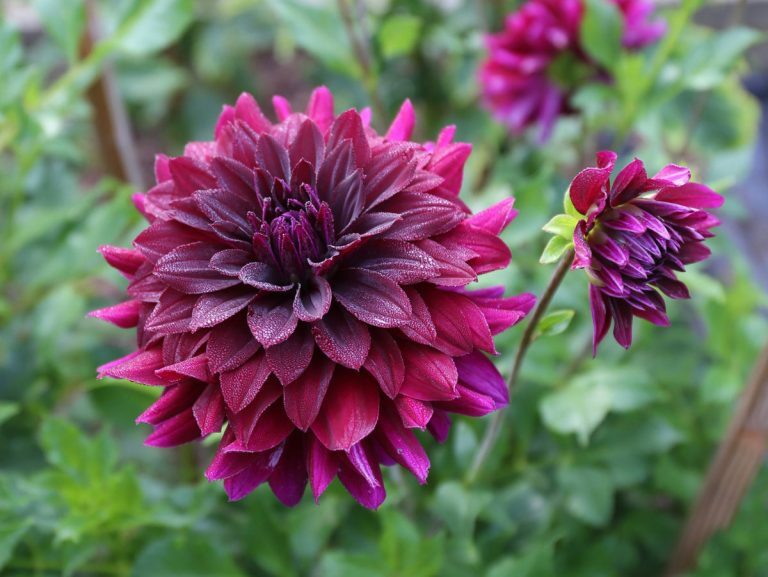 I came across this collection on the Garden Lovers Club website where you can find the complete list of plants. There is a certain pleasure in seeing the arrival each year of favorites like wildflowers, just seem to happen on their own. 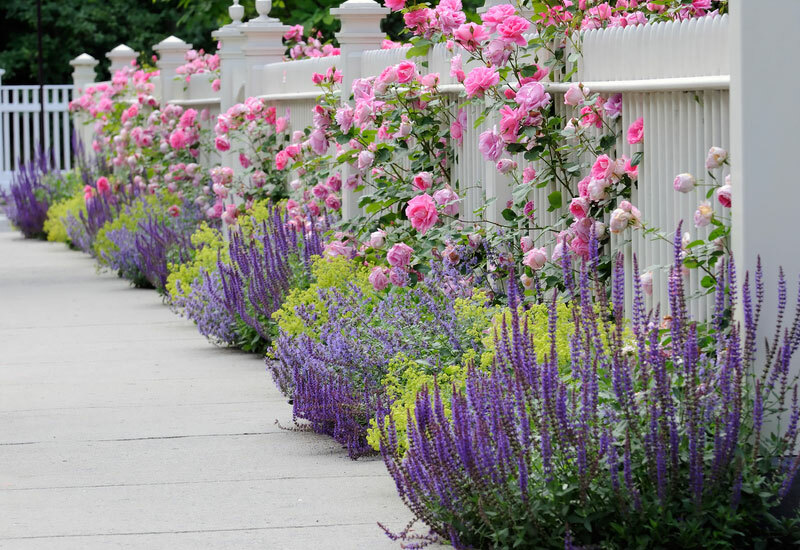 Once established in their designated areas they will delight by naturalizing and spreading the beauty of these favorites year after year with minimal efforts. 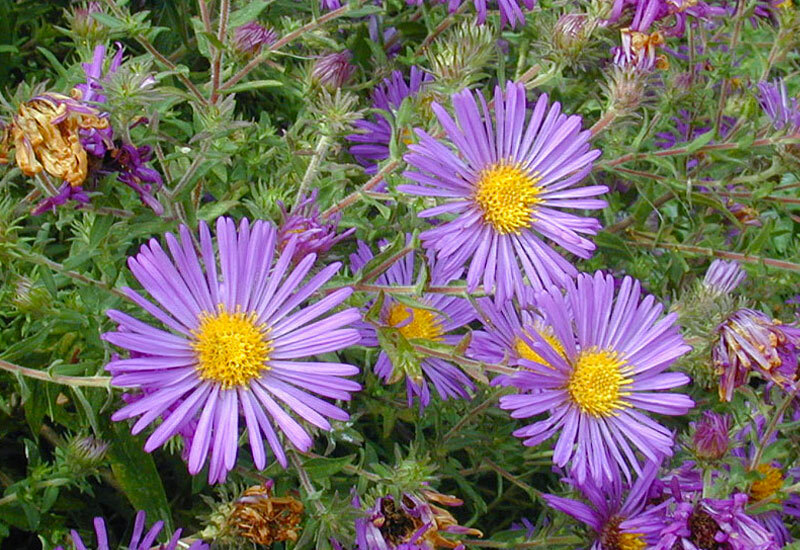 Aster x Frikartii Flowers bring a pleasant pastel pop of purple color to any perennial garden. Growing best in full sunlight they make a great addition to butterfly gardens, backyard landscapes, and more. Their daisy styled shape and their long stems make them perfect additions to floral arrangements or bouquets. Aster x Frikartii plants grow to be roughly two feet tall. Catmint (Nepeta x faassenii) – Related to Catnip, this is the perfect perennial that is easy to grow and keep alive. Not only does Catmint sprout flowers in multiple colors, such as pink, white and purple, but it’s a great plant to look at throughout the growing season as it provides a gray-green foliage that people will truly enjoy. Coneflower flowers have a cone-shaped interior and a floppy petal. Coneflowers belong to an assortment of wildflowers that fall into the coneflower category. 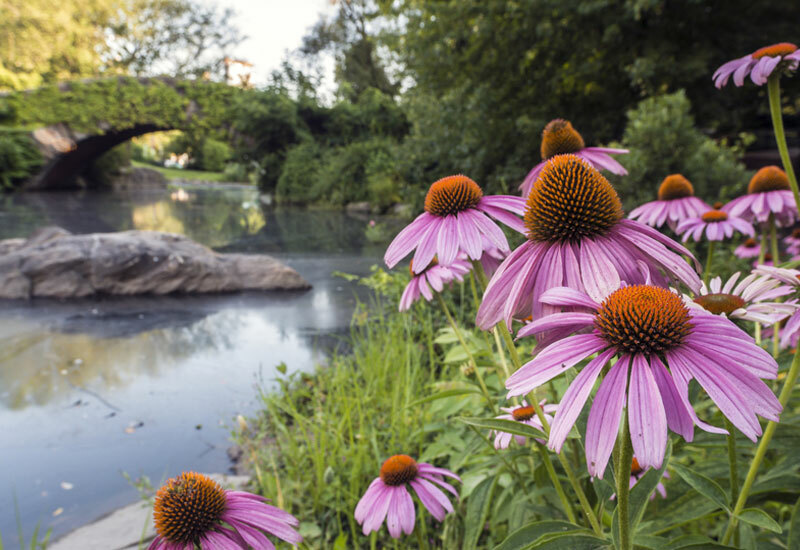 Uncomplicated to cultivate and loved by wildlife, the coneflower flower disperses itself effortlessly in good quality earth and plenty of sunshine. A variety of grandiose colors, including orangey-violets, makes it the perfect addition to any cut flower arrangement. 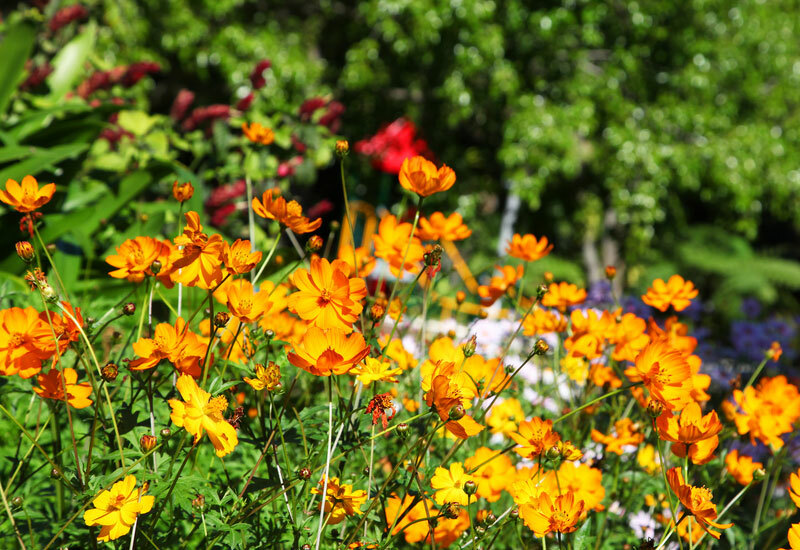 Coreopsis ‘Mango Punch’ – Perfect for sunny areas, coreopsis is easy to grow and thrives on neglect. Tolerant of dry soil and extreme heat, this long-bloomer provides vibrant, daisy-like flowers in vibrant shades of red, yellow, orange and pink. Some varieties grow up to four feet tall while others make delightful mounds of color for beds and borders. Euphorbia Characias (Mediterranean Spurge) is a flowering plant of the Euphorbiaceae family and typical of the Mediterranean vegetation. 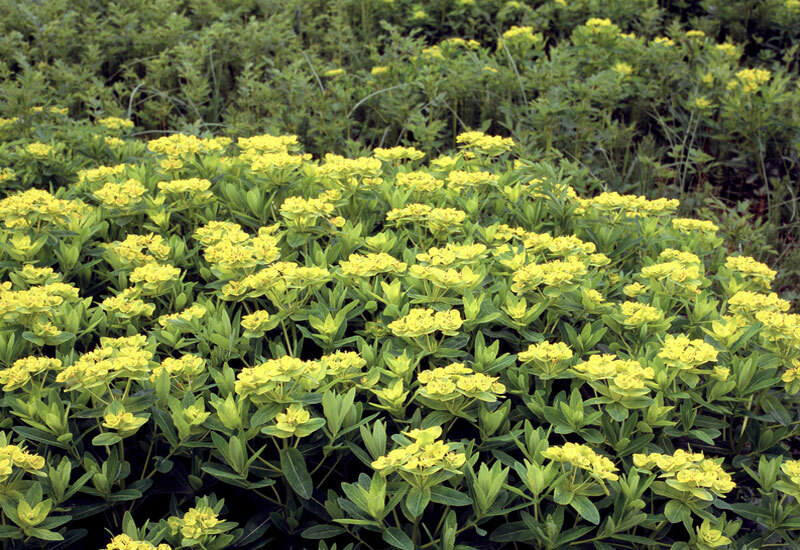 It’s unique rounded clusters of green flowers that are accented by distinct black or dark brown centers, or nectar glands. They bloom in the late spring and early summer, and are known to be quite durable and well suited for dry climates, capable of withstanding long periods of drought typical to dry environments.